Divorce is a family affair! When our children are hurting, so do we as parents, doubly so when we feel it is somehow our fault. Divorce brings up a range of differing emotions that can be challenging for us and for children of divorced parents. Over half of families going through a divorce have children under the age of 16. When parents decide that they no longer love each other, children's lives can be shaken. The level of upset is dependent on how the parents separate, their age, their understanding and vitally, and how much support they receive. Many children may feel a sense of loss. Their way of life has been altered and they hanker for the original family structure. They may have unspoken fears of being left alone; when a parent leaves they may feel that they may be left too. Anger can often be the default in children who are finding it difficult to express how they are feeling. Children often speak about guilt, rejection and feeling torn between both parents. On occasion, a wounded parent may feel it necessary to withhold the children. This is a complex situation, and if intervention does not take place quickly then it can progress into parental alienation which has repercussions for the long term for all concerned. The most useful thing that you are able to do is to protect your children from all adult responsibilities and worries. Impress upon them that they are loved by both parents. Talk, reassure and be reliable and consistent. Try and keep home life as normal as possible. These are all simple but hugely powerful steps that can go a long way in reassuring a child. Families that are successful after divorce are those who are able to transition from one home to two in a mutually respectful way that privileges children and their needs. The process requires a child-centred approach. This enables the children and parents to traverse what can be a fundamental shift. It is important to seek guidance and support at this time if any member in the family is struggling. This does not have to be a lonely time. Support can be received from friends, extended family and, if necessary, a professional. 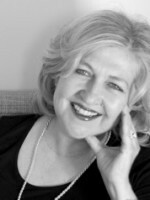 Pam Custers is an experienced therapist in Private practice in Wimbledon. Why counselling helps your relationships Change starts from within!